What LSAT and GPA numbers do you need to get into Cornell University Law School? Cornell Law is one of the much vaunted ‘Top 14’ law schools in the USA. Top 14 schools carry a strong national reputation and degrees from these schools are generally considered transportable nationwide, meaning students will have strong job prospects in any major market in the country. 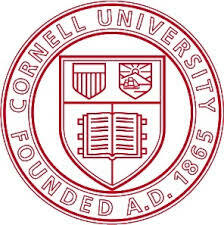 That said, most Cornell Law students choose to work in New York City, where the school carries a terrific reputation. Cornell Law usually ranks in one of the 10-14 spots according to rankings published by the US News and World Report. Typically, it is considered peer schools with the law schools at Duke, Northwestern, and Georgetown. Cornell Law currently stands alone at the #13 position just ahead of Georgetown (2014 rankings). As the result of its high rank and small class size, you can rightly expect that admissions at Cornell Law is a highly competitive process. 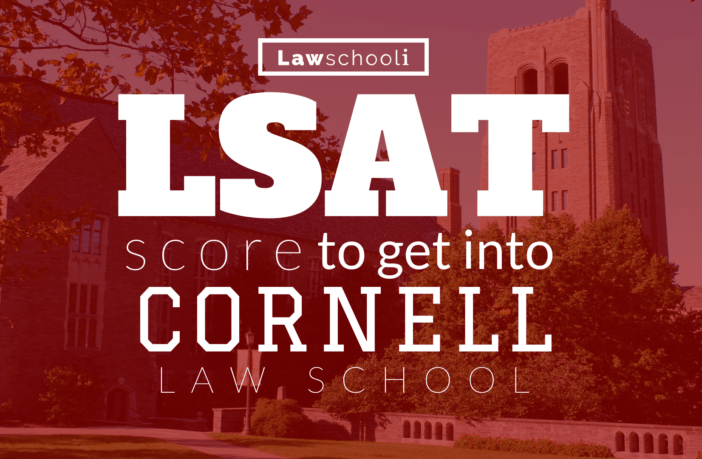 A very good LSAT is going to significantly help your chances of admittance to Cornell. To be a competitive applicant at Cornell Law, you would do well to have an LSAT score in the high 160 range and an undergraduate GPA in the 3.65+ range. The Admission Committee looks at a number of factors when making admissions decisions. Certainly, academic potential as measured by the LSAT and GPA play an important role in the admissions process. We use more than numbers to evaluate our candidates. We also consider extracurricular and community activities, life experience, work background, and recommendations. As with other top law schools, you should get your applications in as early as possible to have the best chances of being admitted. Cornell Law typically starts accepting applications as soon as the application is made available to complete in August. If Cornell is your dream school, make sure you are doing your best to max out your LSAT score by studying with the best LSAT prep books: CLICK HERE to learn how I got a 177 on the LSAT. Cornell Getting into law school LSAT LSAT Score what are my chances? Previous ArticleWhat LSAT Score Do You Need to get into University of Virginia Law? Hey Joshua, my dream school is Cornell. I’m currently at a 3.5 gpa, and hope to pull it up to a 3.6 this semester. Perhaps, I can max it out to maybe 3.7 range. Grammar is not my strong suit, but my personal statement, I believe is well written. Also, my resume is starting, to seem competitive. However, I had requiste math courses, and (stats) some of which were remedial. Maj: CJ, and Min: Biology. It may of been a 3.6-3.7 otherwise, at this point in time. So, I really need to pull a 173+ on the LSAT in June, in my view to have great than 50%< of getting in. My uncle, went to Wharton for business, and my family is lower-upper class. But, I do not want to get in on my parents dollar as a deciding factor. So, with my math disability, and grammar issues i'm concerned. I have little problem on the reading sections, but logic games I have not been great at since 10th-11th grade. How, should I approach these issues?